Cheryl graduated from Rivier University, School of Nursing, in 1999. Since that time, Cheryl has worked in a variety of nursing venues from hospital nursing to hospice nursing, to Program Director of the Red Cross LNA programs for NH & VT, and most recently as the Director of Nursing for a local Assisted Living Facility. Cheryl now lives in Madbury, NH with her husband Peter, but still considers Beals Island, ME her true "island home." The time she spent lobster fishing with her grandfather (who was also a minister) helped solidify her desire to pursue a career that would combine her interest in healthcare and her passion for helping others. Becoming a Nurse was the perfect fit by providing a way to combine these two interests and fulfill her desire to "Make a Difference". 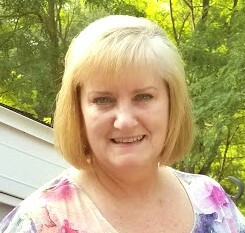 Stephanie is a Licensed Practical Nurse with 28 years of nursing experience. Stephanie has dedicated her nursing career to helping others in a variety of different healthcare settings. These include nursing homes, assisted living facilities, rehabilitation hospital and women's health & family practice settings. Stephanie graduated from NECC with an AD in Practical Nursing. Stephanie comes from a family of nurses, including her grandmother and most recently her daughter. Stephanie lives in Nottingham, NH, with her husband John and two children, Trisha & Colby. She loves to travel and spend time with family & friends.